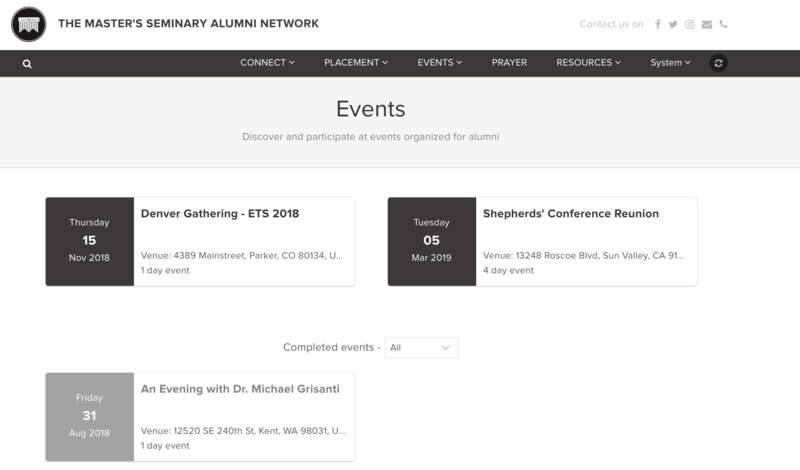 With Almabase, Master’s Seminary was successfully able to move their alumni community online. 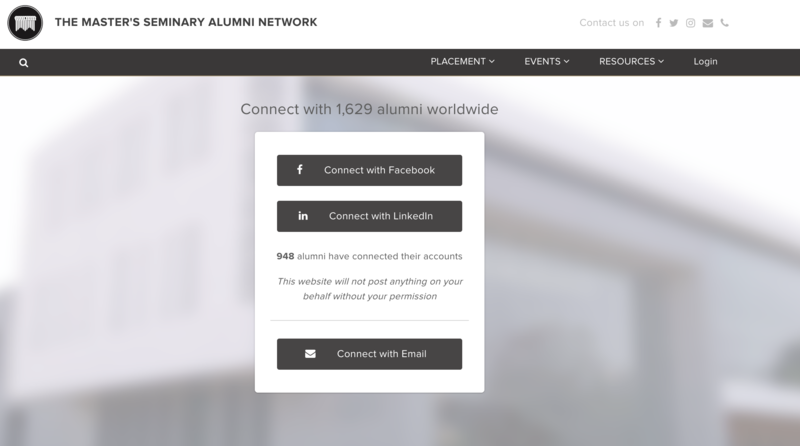 The digitization got them to update 25% of their alumni database in just 45 days from launch. With an updated database, the team was able to create a strategic communication campaign to increase the engagement rates. 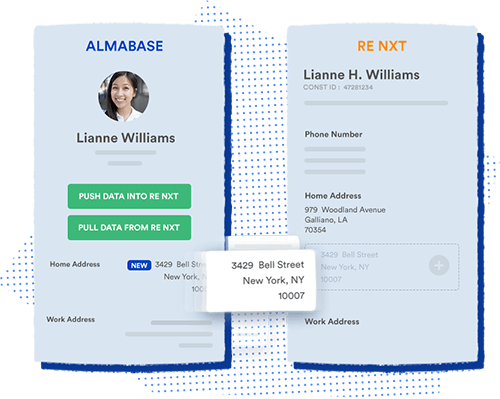 With an integrated communications tool, Almabase enables the institute to segment and create dynamic groups from their alumni database. 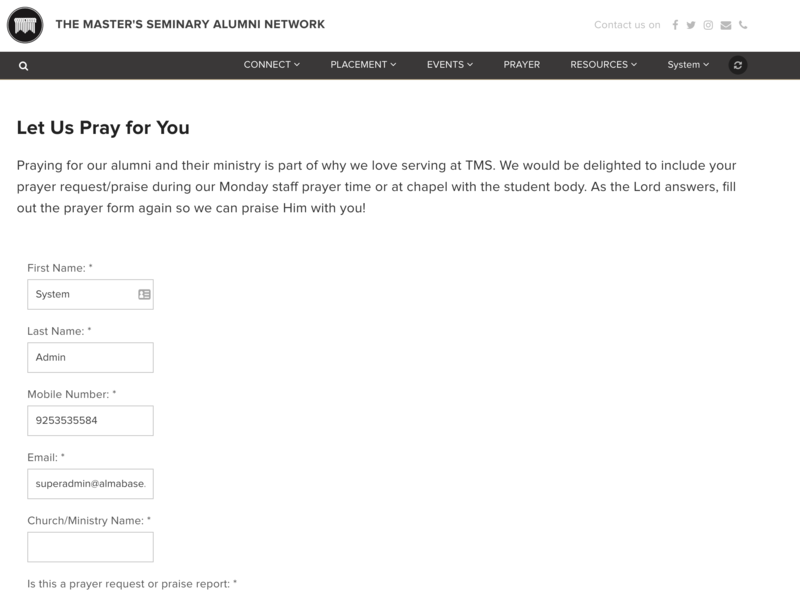 For instance, they can segment their alumni database with filters like ‘everyone living in Boston’, to create personalized messages for outreach. 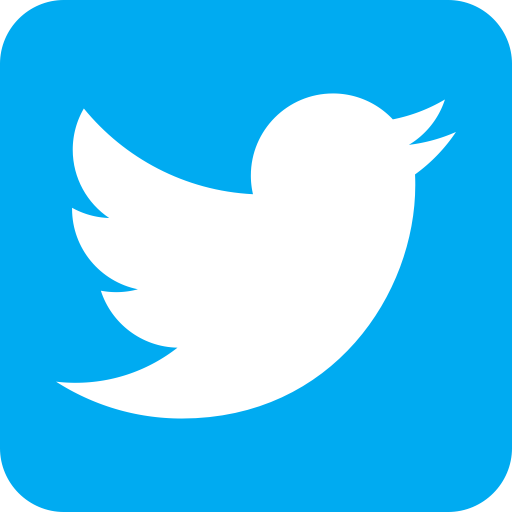 The feature helped them optimize their outreach campaigns strategically, to drive maximum engagement. 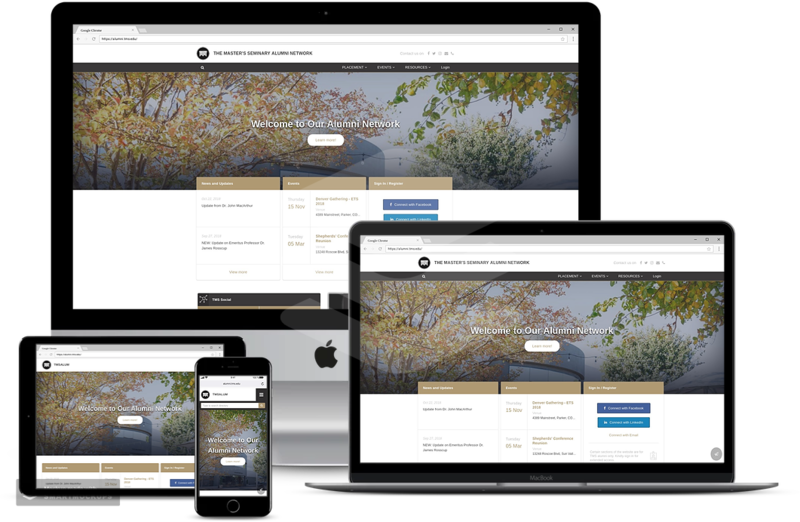 Right from setting up the website, sending out invites, managing RSVPs, to integrating payment gateways for ticket collection and tracking no-shows, the Almabase ‘events module’ enabled the institute to handle the event seamlessly. An easy to use content management system helped the team set up placement tutorials and prayer requests, without asking for help from the IT teams. They were also able to customize the pages based on the end goal of the campaign and alumni interests, for better engagement rates. Almabase enabled Archer Center to set up their alumni community on a digital platform. Doing so, let the team establish an up-to-date alumni database in just 30 days.